For example, you walk into a store and you see a generic solution next to the brand solution. Both boxes are designed similar. However, the brand name one has more of “updated” ingredients vs the generic one which has “outdated” ingredients. As the materials and technology of contact lenses are being updated and revamped, it requires certain ingredients in the contact lens solutions that help maintain the contact lens’ key features. 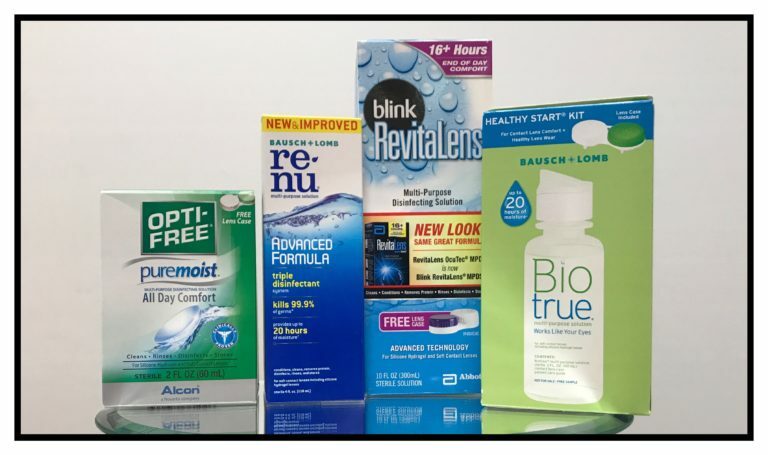 Generics which contain older ingredients may not help promote the contact lens’ newer technology. Worse, it may even reverse it and cause unwanted outcomes such as dryness, lens instability, decreased oxygen transmission, etc. Your eye doctor may have given you a great contact lens because you reported dryness and discomfort, but you paired that with an older solution. Now you negate the awesome lens that your awesome eye doctor prescribed. Now you’re back to square one with dryness. Also, the cases that comes with the brand name solutions also needs to be paired together. Some of the cases with certain brands have proprietary technologies built IN the walls of the cases. So when the solution is in contact with the case, its’ forces combined to help clean and hydrate the contact lenses. Some patients do well with generics. Some need the brand name ones because of the updated key ingredients. Some can do both. If your noticing your contacts are ripping or becoming drier and you have been wearing the same brand, your new contact lens solution may be the culprit! Or you’re just over wearing it.